At the first #WellesleyTalks panel event, A.I. 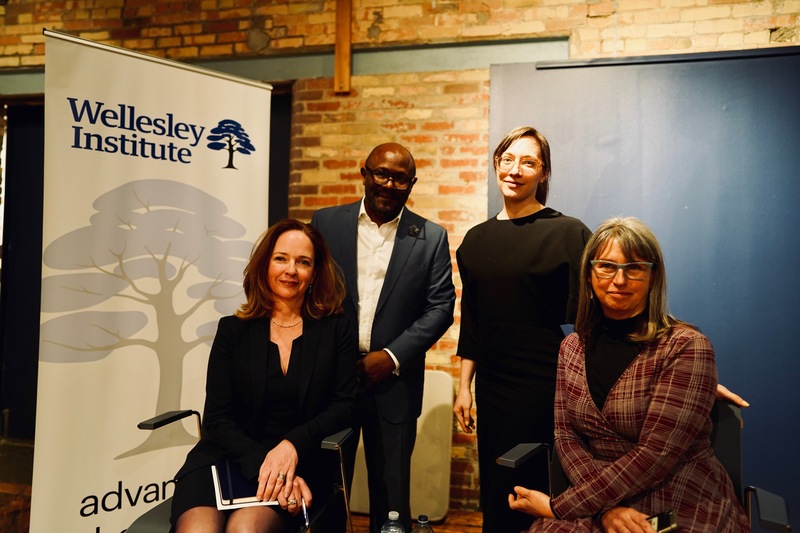 and Health Equity: Opportunities and challenges for ethics and policy, held on April 3, 2019, a panel of thought leaders explored the role and implications of artificial intelligence on health equity issues of the day. We expanded the conversation by asking our in-house and digital audience to pose questions in person and remotely using the hashtag #WellesleyTalks. The discussion ranged from the possible definitions and applications of AI in our everyday life to the role of regulators to the ethical considerations of ‘big data’ use. If you missed it, you can watch the full video below and take a look through the full PHOTO GALLERY. With over 90 people in attendance, audience members were engaged and asking questions using the official hashtag. See our recap from the Twitter chat below. We hope to continue to provide interesting topics and lively discussion at our next #WellesleyTalks event. Have any ideas? Email us at contact@wellesleyinstitute.com with your suggestion for our next event.